MTN has emerged as the winner of a series of tests conducted by TechCentral this week into the speed and responsiveness of South African mobile operators’ fourth-generation (4G) mobile networks. Telkom’s 8ta came off worst, although the company is yet to launch commercial 4G services. 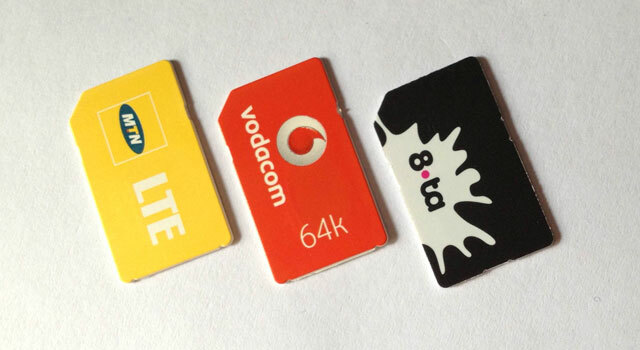 Three of South Africa’s mobile operators, Vodacom, MTN and 8ta, now have 4G networks based on long-term evolution (LTE) technology in Johannesburg and other major cities. Vodacom and MTN have launched commercial LTE by “refarming”, or reallocating, a portion of their existing spectrum; and 8ta has begun a trial — meaning it’s not yet a commercial-grade service — using a big chunk of spectrum it has access to in the 2,3GHz frequency band. In order to test each network, TechCentral examined each operator’s coverage map and picked five diverse locations around Johannesburg where all three operators claimed on their online coverage maps to have excellent LTE coverage. We then ran three tests for each network, in each location, outdoors, using the speedtest.net website and recorded the pings (the round-trip time for a packet of data) as well as the download and upload speeds of each test. Although these tests cannot be considered to be scientific, they are broadly representative of the type of experience users can expect, at least in Johannesburg. Perhaps the most interesting finding from the tests was the degree to which results varied depending on location, despite the fact that signal strength was always strong on all networks throughout the testing. In Bryanston, north of Sandton, MTN was the clear winner, but Vodacom and 8ta were not far behind it. At Cresta in Randburg, however, MTN was miles ahead of its competitors, offering a peak download speed of 41,6Mbit/s, while 8ta was abysmal. Sandton’s Benmore Gardens saw Vodacom and MTN performing fairly similarly, with 8ta again the worst performer. In Illovo, near Rosebank, both Vodacom and MTN managed download speeds in excess of 20Mbit/s while 8ta failed to break the 10Mbit/s mark.